…I will practice being assertive by using ‘the no sandwich’ in my daily life when I find myself wanting to say ‘No’ to something I have been asked. The No Sandwich involves saying ‘No’ as the middle part of a three-statement sandwich: Empathy Statement + No I Can’t + Empathy Statement. Saying no this way tells the person, I understand what you need and it does matter to me, even though I cannot do what is being asked, I feel for your situation and our relationship is important to me. This is a useful way of saying no without offending people. This week, I will practice the No Sandwich in the times I would ordinarily say no to something day-to-day and non-emotional, like if I am offered a food or beverage I don’t want at the time or asked to go out when I am not free. I will use these unemotional situations to practice the technique. Practicing the No Sandwich on day-to-day things might help me get my own needs met more, manage my time and deal with the demands of saying ‘no’ without having to worry about causing anyone offense. If someone does not accept my No Sandwich, I will offer them another one. Part of saying no, involves knowing what we do and do not want and accepting those wants and needs as valid. We all have different levels of awareness of our own needs, so part of this week might also involve noticing my own needs and how I respond to them, such as whether I usually tend to put them aside to please others or not. I might start the week by making a list of things I know I need this week, like time to sleep, prepare and eat food, do my work or study tasks, house-work and family time, friends time and alone-time, so I know where my boundaries are on the day-to-day stuff from the start. 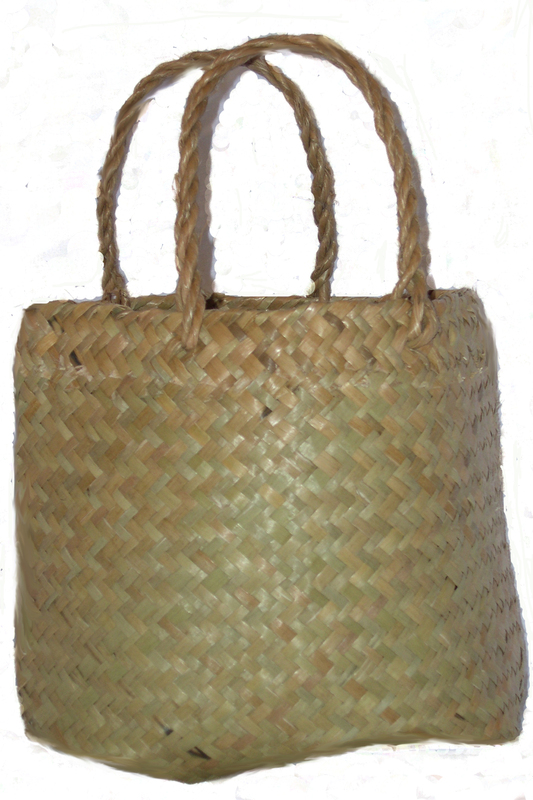 When I am comfortable using the No Sandwich to say ‘no’ in ordinary day-to-day situations, I will add The No Sandwich to my Personal Coping Kete as a way of expressing myself during times of stress and distress, when others may be crossing my personal boundaries or asking more of me than I am comfortable giving. When I am distressed, I will be able to use the No Sandwich to say ‘no’ to the things that don’t help me in a positive way. … I will practice effective expression by regularly pausing before I speak to ask myself three questions. I will let my answers to these questions guide me in what I choose to say and how I choose to say it. In this way I will get used to (1) speaking accurately, (2) saying what I need to say and (3) expressing myself respectfully, even if what I have to say might be hard for the person to hear. Before you speak, let your words pass through three gates. As I move through my week, I will practice pausing and briefly reflecting on these three questions in everyday conversation. This will help me work out how to pause myself, how to think about the three questions and how to work my reflections into what I choose to say. It might be that I need to take time out to reflect or I might be able to reflect quickly in the moment. When I am familiar with doing this kind of reflective communication, I will add ‘Use the Three Gates of Expression’ to my Personal Coping Kete as a way of expressing myself during times of stress and distress. When I am upset, I will be able to consider what the grains of truth beneath my reaction are, whether it is necessary for me to talk to this person about this specific thing and how I can express what I have to say kindly and with respect. It might also help me to balance out my thoughts during moments of distress when things can easily become distorted or blown out of proportion. …I will practice expressing myself and getting support by telling someone I trust that I’d like someone to talk to and asking them if they can listen. This is something we pretty much all need to do when the going gets tough, but which can be really hard to do if we are distressed and out of practice. This week, at the end of each day, I will call or visit someone and ask them if they can lend me an ear so I can get some of the day’s stress off my chest. Then I’ll tell them a bit about my day and anything stressful that has stuck with me. By checking in with them about their day as well, I’ll be able to help them leave the conversation feeling listened to as well. This might bring us closer. Sometimes it can help to let people know what we are up to – I might even tell some of my friends that I am practicing asking for help and talking about my problems and that they might hear from me as I go. 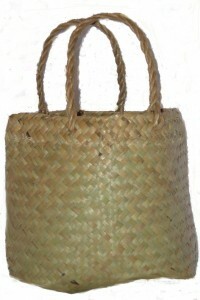 Once I am comfortable asking someone to listen, I will add it to my Personal Coping Kete as a way of coping in times of distress. I will be used to talking to people about small stresses and I will be used to reaching out, so it will be easier to do. …I will practice connecting with the community around me. This week, as I move through each day, I will practice belonging to my community and letting my community belonging to me. We so often live right next to each other for years, without ever stopping to say ‘hey how is it going?’ to each other and the world can become a lonely, anonymous place at times. This week, I will say hello to the shop-keepers and checkout operators and stop to pass the time of day. I will introduce myself to my neighbours if I don’t know them and pause to chat when I see them. I will take part in any free, public events and projects like music in parks, open mic nights, art exhibitions or tree planting working bees. I will walk around my community and appreciate the spaces around me. I will take the time to ask people about themselves and what they do, whenever I have a chance so I can learn about the people around me. All the while I will remind myself that I am part of a wider community and the wider community is part of me. When I am bored or at a loose end, I will do something to connect with being part of that community. This week I practice getting to know my community and letting my community get to know me. After engaging with my community for a while, I will be well prepared to self-soothe and distract myself from negative thoughts and feelings when the going gets tough. The experience of connection will be like ammo when I find myself feeling disconnected or lonely. Connecting with my community may help me practice expressing myself to others and build a wider support network of people I could turn to in a rough spot. When I am familiar with doing things that connect me to my community, I will add ‘Connect with Being Part of a Community’ to my Personal Coping Kete as a way of shifting my mood during times of stress and distress. If I am feeling down, I will be able to turn to one of my familiar community connection strategies to distract myself. Doing things that connect me with my community might also help to self-soothe some things too, especially if I’ve been feeling isolated. When I notice my self-talk seems lonely, I will remind myself of my previous experiences of being connected to self-soothe and I will try to put some of my previous activities into action. …I will practice turning my attention to something positive by taking time in my week to make a card for someone I am grateful to for something and deliver or post it to them. I will schedule a time later in the week to make the card, so I have plenty of time to get organised. For the next little while, I will think over the people and things that I am grateful for until I think of a person I want to acknowledge and make a card for. It could be for something big, something small, something recent, or something from a long time ago. It doesn’t really matter, but if this kind of thing makes me nervous, I could pick something small, like a recent favour from a friend. Once I have thought of someone, I will start getting ready to get creative. I will want to find some card or paper to make it out of and design my own image for the front – I could draw something or cut pictures out of magazines or print something off a computer – but I won’t buy the card, this week’s strategy is also about using my creativity. Finally, I will write a short thank-you message on the inside, letting them know I appreciate what they have added to my life. I might need to spend a little while drafting what I want to say on some scrap paper. No matter what is happening in my day this week, I will find time each day to think about or work on making my card to someone I am thankful for. It is much harder to do these things when we feel low, so I might do it in little bursts, bringing my attention mindfully back to the card and where I am up to with it, whenever I am able. This week, I am practicing the art of emphasising the good stuff. It’s not a skill that comes naturally to all of us, and modern life isn’t set up to help us remember to notice and highlight the things we are grateful for. Making a thank-you card means I will practice turning my attention towards positive memories as well as get a chance to practice letting myself be creative. By sending the card, I am learning another way of sending positive vibes out into the lives of others. These are all things I could feel good about. Once I have gotten comfortable being aware of the things I am grateful for and making a card for someone at any old time, I will add it to my Personal Coping Kete as a way of balancing my attention when life seems to be throwing all the hard stuff my way. When I notice I am finding things distressing on a regular basis, I will spend some time thinking of things I am grateful for, making a card to acknowledge one, and sending it to the person. Each time I notice myself getting pessimistic, I will bring my thoughts back to my card and the meaning behind it to help balance my thoughts and remember that it isn’t all bad, all the time. … I will practice humming an upbeat tune to myself to help myself feel optimistic in moments of uncertainty. It seems like such a little thing it couldn’t possibly help. But sometimes a simple thing like humming ‘tiddely-pom’ in a ‘what-shall-we-do-now kind of way’ can give a person just the kind of positive break they need before responding to something stressful or confusing. This week, I’ll take a lesson from Winnie the Pooh and I will practice humming or singing ‘tiddely pom’ (or something like it) to myself in a ‘what-will-I-do-next kind of way‘ whenever I notice I am in an ‘in-between moment’ where I don’t know what I am going to do next. Once I am used to doing this in the everyday in-between moments, I will add it to my Personal Coping Kete as a way of giving myself space before I respond to things that are distressing or difficult. I could maybe even use it as a light-hearted way of opening up a line of communication around not being sure what to do next. In those moments where I might usually start criticising myself for not knowing what to do, I will instead do something positive (humming), that still acknowledges the difficulty I am facing (not knowing what to do). I will notice whether it has any effect on my mood, the way I respond or those around me. Humming has been known to have physical effects on the body because it changes the way we breathe. It might even help change my mood that way. Strategy 108 is inspired by Winnie-the-Pooh’s Little Book of Wisdom by A.A. Milne and E.H. Shephard. …I will practice leaning on the people around me when things start to feel a little stressful. Leaning on the people around me means that this week, I will share what I am going through with the people around me and accept their offers of help. If people ask me how they can help, I will practice letting them know. So often, we turn down help because we think we ‘should’ be able to take care of everything on our own. This week, I will practice turning to the people around me for help, even with smaller stressors. As I move through the week, I will note who seems to respond to well to my sharing and who responds less well. This will allow me to figure out the best people to go to for help later. If I notice there aren’t many people in my life who respond well, I might turn my attention to an engagement strategy for building some connections with some more supportive people. When I am familiar with letting people know I am finding something hard and accepting their help with everyday kinds of things, I will add ‘Lean on Someone’ to my Personal Coping Kete as a strategy for getting through times of intense distress. I might keep a list of good people to contact in my Kete too. … I will practice sharing my successes, achievements and moments of enjoyment with other people. At the end of every day this week, I will contact someone I know to talk about one positive moment from my day. If I find it hard to notice positive things I might carry a notebook in my pocket so I can write them down when they happen or simply jot them down at the end of the day in preparation of my call or conversation. If I find it hard to talk to people about positive things I have experienced, it might help to make a list of people I can call. It may also help to think of some things I can ask the people I talk to so my sharing does not come out of the blue and the conversation doesn’t become one-sided. This week, I will practice celebrating my achievements and sharing my good moments, however small they may be, with the people in my life. In doing so, I will practice making the small positives of life stand out from the mix of more difficult daily experiences. As a regular practice, this may help me to have balanced attention that takes both the good and the bad information on board. In regularly talking to the people I know about my positive experiences, I will create relationships in my life that give me the chance to also talk about the difficult things I go through as well. Once I have gotten used to sharing my achievements and positive moments, I will add ‘Connect to Share the Little Positives’ to my Personal Coping Kete. In moments when the negatives seem overwhelming, I will contact someone to share some of the positives in my life. When I feel bad about myself and am finding it hard to feel better, I can get in touch with one of my people for some support to remember my positives. Sometimes it really helps to get a reminder about those things from someone other than ourselves! … I will practice using positive, inspiring words in my self-talk and my communications with others to help shift the mood of things. This week, I will become aware of the kinds of words I am using with myself and with others. Each time I notice what I am thinking, I will find a way to reframe it that allows me to use more positive words. Each time I notice the kinds of words I am using/want to use when talking to others, I will think of a way of inserting more positive words. It might help to first make a list of the kinds of energy-raising words I could use, such as inspired, peaceful, harmonious, content and enjoyment. So for example, instead of thinking or saying ‘I feel awful right now,’ I might reframe things so I think or say ‘I want to do something to inspire me’ instead. Sometimes just thinking about the positive concept can lift our energy. Using these words in our communication can help lift the energy of those around us and make the way we communicate our problems more effective. Once I am comfortable doing this as part of my regular day, I will add ‘Reframe to use positively charged words’ into my Personal Coping Kete as a strategy for self-soothing and/or expressing myself when I am stressed or distressed.